the more we've come to need Halloween. Contest closed. 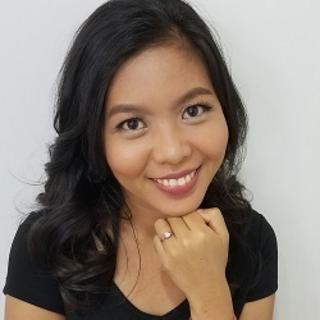 Congrats, Linda Ruamthong! Thanks to everyone who joined. It's that time of the year when the earth turns to its most beautiful warm colors of sunset. Ahh...Fall. You know what I most associate with Fall? Halloween. Halloween is a favorite holiday. Halloween is exciting because although we never celebrate or make a big fuss about it here until quite recently (I know, boring childhood), I enjoy what Halloween brings. I'm a Potterhead and I appreciate so much how TV channels show Harry Potter movies around the Halloween. Always looking forward to the creative costumes people wear during the Halloween, both kids and adults alike. Can you guess how many people will go as Harley Quinn and The Joker this year? 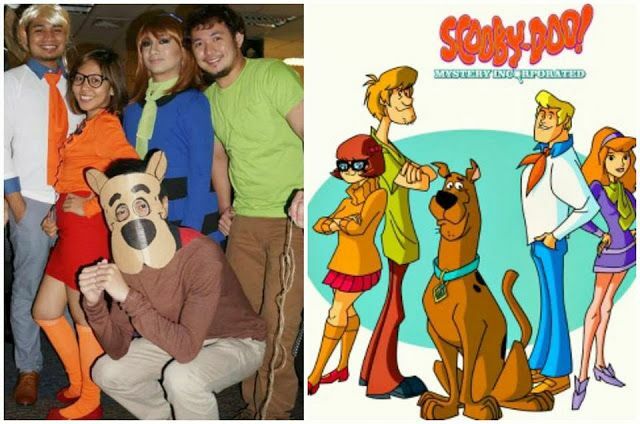 Here's a little throwback pic of me and my team for the Halloween at the office. Did we do it justice? I'm a dessert person and Halloween is one good excuse to overload in sweets and candies. Oh, yeah. Last year I gave away a charm locket and gift cards to lucky Halloween Giveaway winners. This year, I'm teaming up again with A Touch of Dazzle for another awesome giveaway. 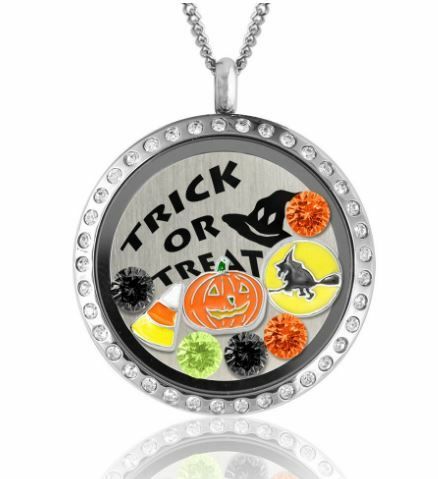 (2) and shop any item at A Touch of Dazzle and for $19.99 or more worth of purchase, get a coupon code for a FREE Halloween charm pack (the offer will show up when you click CHECKOUT, then you can add it to your cart). Charms vary by locket choice. Variations include Scary witch flying by the moon enamel charm, Spooky ghost enamel charm, Jack-o-Lantern enamel charm, Autumn ripe pumpkin enamel charm, Black cat enamel charm, Candy corn enamel charm, Booo!enamel charm, Purple witch hat enamel charm, and of course black and orange crystals. All in a quality stainless steel floating locket. 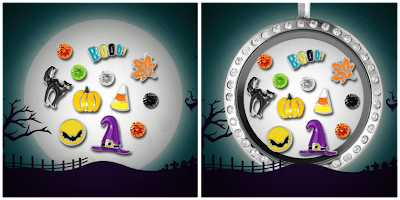 Your Halloween will be more enchanting and magical with these awesome charm giveaways. What do you like most about the Halloween? Who are you going as this year? Halloween of late is catching up over here. So, these, whether you can it tips or sensational treat, I welcome with open arms. Need to share with my friends as well. Oh my gosh I love that Mystery Inc. picture! I love Halloween (and Harry Potter), too!! I'm a huge Halloween fan! We go pretty big on it at our house. I was crushed when my 14 year old son said he's done with dressing up this year. My daughter is in her 20s and still loves to dress up :). Your Scooby gang is adorable! Love the pic!! Aahhh too bad it's only for the US! But fun giveaway! I like Halloween because I like the magical vibe around it all. I am terrified of anything and everything so I don't really watch truly scary movies, especially not at night haha! I don't think I have any plans this Halloween, too busy with a bunch of other stuff but if I do end up dressing up I want to go as Eleven from Stranger Things. Very unique (not, I feel like the entire planet will dress up as a ST character) but I LOVED that show! Haha, wat een leuk artikel! Ik begrijp zeker je punt wel, denk dat het internet er véél mee te maken heeft. Moest ook luidop lachen met puntje 6! Ik moet toegeven, vroeger at ik geen van beide, maar eerder omdat ik het nog nooit had geprobeerd. Nu ben ik echt hélemaal en hopeloos verlieft op avocado! Voor mij echt een superfood ;) omdat ik nu m'n tijd neem om in de ochtend te ontbijten en maak dan echt een goed en stevig ontbijt klaar, bijna altijd mét avocado. Vind het echt heerlijk. Net zoals (veggie) sushi trouwens. Maar ja, inderdaad gewoon een dikke hype, that's for sure! I have to admit that one of the great things about my kids being grown now, is that I no longer have to come up with Halloween costumes. ha. But it is cool that they make so many good ones now! That makes it easier. 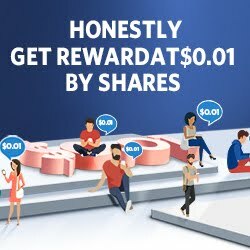 love the great giveaway, too bad its for US only . I love Halloween so much. We've got all the spooky decorations on the front porch already and my son is thrilled to be a spooky skeleton guy. He wants me to dress the same (as spooky skeleton's mom of course). I tried to enter the giveaway but it keeps telling me it's loading over and over. I'll try again later. Thanks! 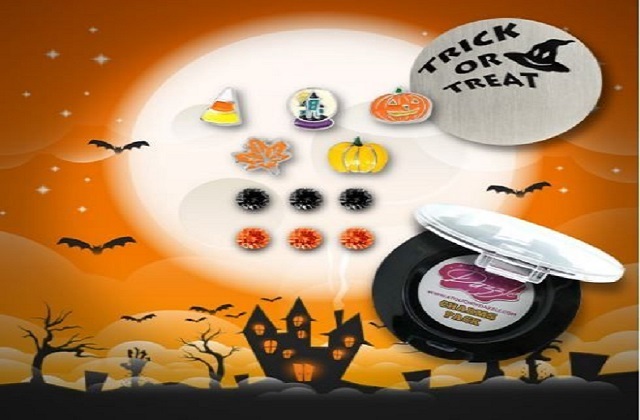 That is a very nice give away for people who celebrate Halloween. Grampy was complaining the other day about all the Halloween candy on sale. I explained to him you have to buy it early so you can eat it all and have an excuse to buy more later when you really need it! To which he answered - "Is there candy hiding in this house?" What a cool giveaway, Lux! I love the Harry Potter marathons this time of year also! My sons are excited for It's a Great Pumpkin, Charlie Brown! Halloween is exciting especially working with kids and hearing them talk about their costumes and stuff. I haven't dressed up for it in years. Great treats and giveaway.